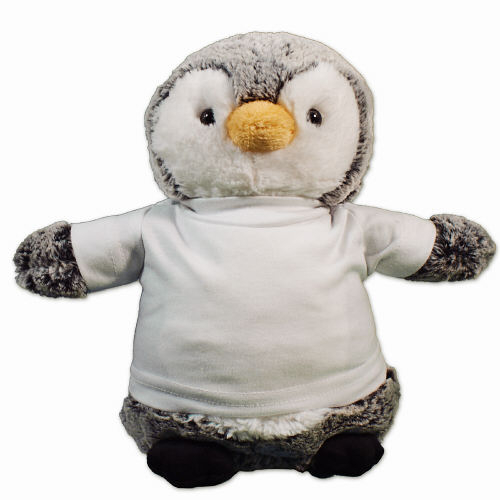 Help brighten their day and say Get Well Soon with an adorable penguin personalized just for them. 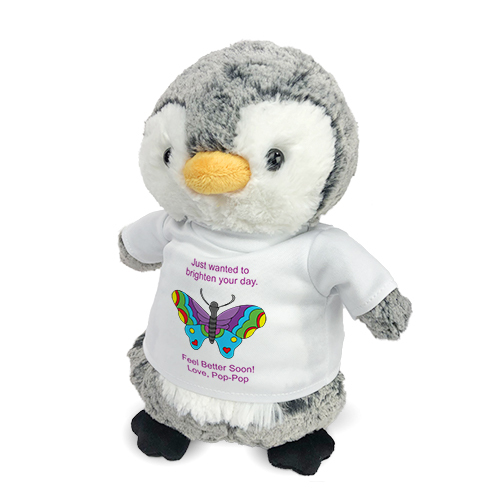 Our Feel Better Soon Penguin makes a memorable gift that shows you care and can become a treasured keepsake for them to always enjoy. This Get Well design is featured on our Perky Penguin from the Aurora collection. 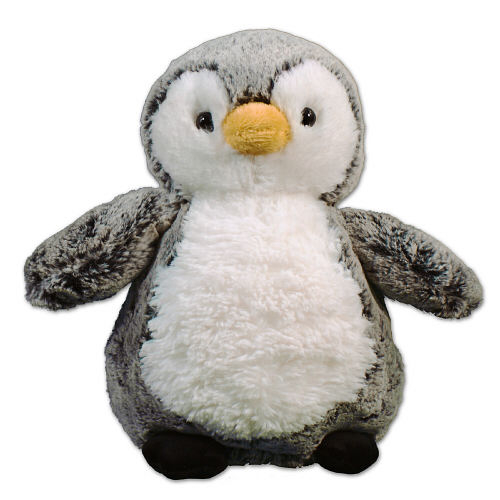 Perky is a cute, soft and cuddly penguin with grey and white fur. Perky measures appox. 10” tall. You can also personalize the t-shirt that Perky wears for free! Just simply enter any custom message. Or, choose the design that you like most! Free gift wrapping and a free gift message are included to create a thoughtful presentation. Our Grandaughter loved her Penquin! Additional Details Send someone you love get well wishes with our collection of Get Well Plush Animals. Our large variety of heartfelt plush animals are wonderful gifts to both give and receive.